Rothco Military Khaki Long Length BDU Shorts feature 6 Pockets and longer inseam measuring 13.5 inches with an adjustable pull tab on the waist. 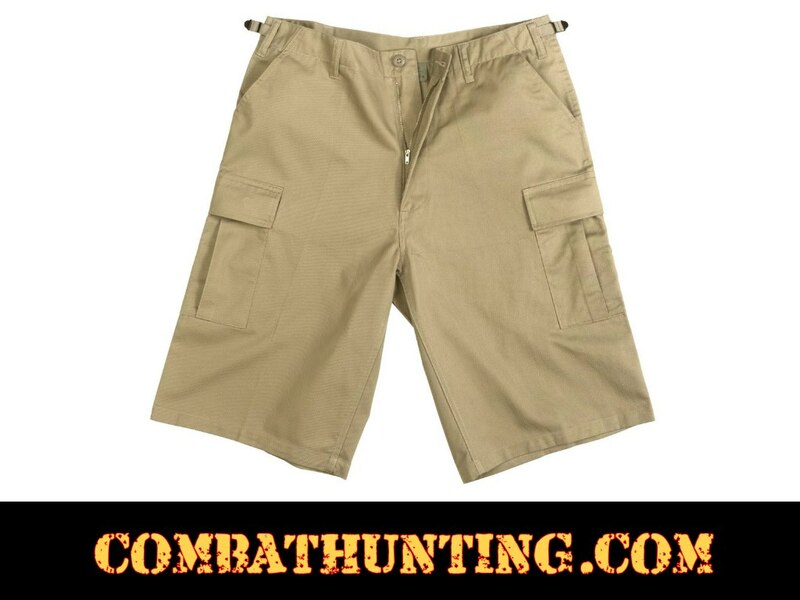 The BDU Shorts have relaxed fit with 1" wider leg opening. We have large selection of military and camouflage shorts available in sizes XS through 4XL.